Sony's Venom is intended to be the beginning of a Spider-villains universe - but realistically, the studio needs to recast Spider-Man to reach its full potential. In 2015, Marvel Studios and Sony launched an unprecedented deal that saw the latest iteration of Spider-Man, played by Tom Holland, join the MCU. But Sony was still determined to do their own thing with the Spider-Man franchise, and those plans begin with this year's Venom and the animated Spider-Man: Into the Spider-Verse. So far, though, the most intense debate has been whether or not the Sony Spider-villain movies are considered part of the wider MCU or not. First reports were that Venom was a separate, distinct project, but Spider-Man: Homecoming producer Amy Pascal confused the issue when she described the Sony spinoffs as "adjuncts" to the MCU. She seemed to be describing the same kind of relationship the TV shows have with the Marvel movies. But her comment was followed by a stream of supposed "clarifications," both from herself and Kevin Feige, all of which essentially served to muddy the water. The latest update seems to be that Venom is not part of the wider MCU at all; Avengers: Infinity War director Joe Russo was forthright in claiming that it wasn't, while the most recent sources have described Venom and the rest of the Spider-villain films as "a separate world from last year's Spider-Man: Homecoming." A core problem is that it's not easy to see how some of Sony's proposed spinoffs can work without Spider-Man. 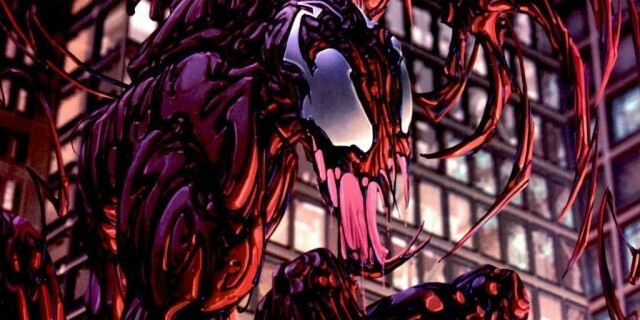 Venom's trailers have revealed the tongue-slavering symbiote's rewritten origin, one centered upon a crashed alien spaceship and illegal experiments by the Life Foundation. 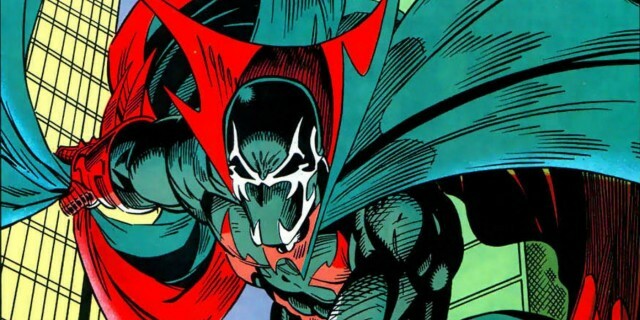 But while Venom is the star of a comic book franchise in his (their?) own right, some of the other spinoffs feature characters who've only ever really existed in the context of their relationship with Spider-Man. 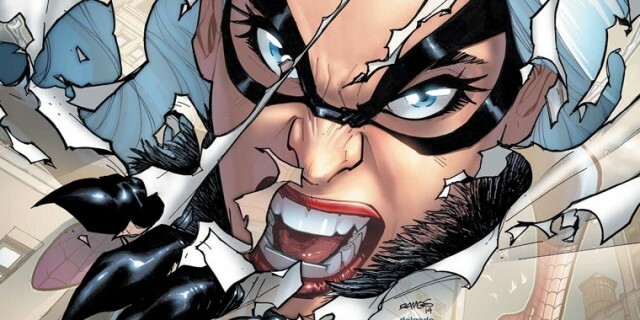 Take Black Cat, for example; barring a couple of crossover miniseries with Wolverine, of all people, she's best known for her flirtatious relationship with the wall-crawler, serving as his version of Catwoman - sometimes ally and even lover, sometimes opponent. Many viewers are skeptical as to whether or not these films can work without Spider-Man. THE PROBLEM WITH TOM HOLLAND "CAMEOS"
There are persistent rumors that Sony's workaround for this will be a string of Tom Holland cameos, with one believed to happen in Venom. Sources close to the production told Screen Rant that one scene in Venom sees Life Foundation boss Carlton Drake leading a school field trip around the building. That tidbit led us to suggest that perhaps the Tom Holland cameo will simply be a glimpse of Peter Parker as one of the students, presumably on an extended trip with his school. If that's the case, it would seem that Sony wants viewers to believe their films are at least tangentially connected to the MCU, even if they don't want to make it explicit. But is that really enough? This would essentially be the same kind of ambiguous relationship the MCU movies have with the TV shows, with cameos only ever working one-way. The Marvel TV shows, such as Daredevil, Cloak & Dagger, and Agents of S.H.I.E.L.D., reference the movies; but the films never reference the small-screen adventures. Indeed, the very fact characters are consigned to the TV shows precludes them from appearing on the big screen. With Vincent D'Onofrio playing Kingpin in Daredevil, the villain is never going to appear facing off against Spider-Man. Luke Cage will never join a team of Avengers, given Mike Colter plays the "bulletproof black guy" in his own Marvel Netflix series. In exactly the same way, the Sony Spider-villain movies would only ever have the most subtle nods to the MCU. 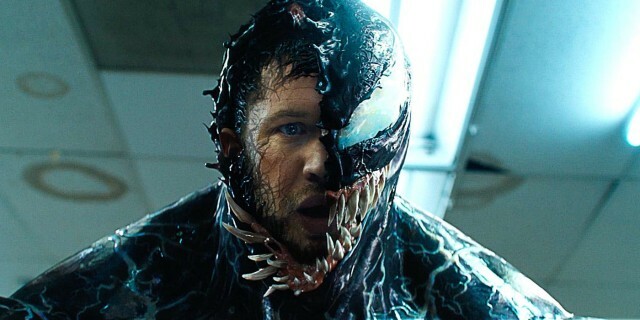 Tom Hardy's Venom will never make the jump into a Spider-Man film, meaning the much-loved rivalry between Venom and Spidey will never be brought into the MCU. The same is true with Black Cat; there's never going to be a scene in which she attempts to seduce the wall-crawler (in the Ultimate Comics universe, such a flirtatious moment came to a hilarious end when Black Cat realized how young Spider-Man really is). The Tom Holland cameos won't resolve this issue; they'll underscore it, reminding viewers that this Spider-villains film franchise can only ever be loosely connected. The problem facing Sony is that each of these characters is originally designed to serve as a foil for Spider-Man. It's true that the web slinger's rogues gallery is one of the best developed in the entire comic book industry, but each of these characters works best in stories that explore their relationship with Spider-Man. 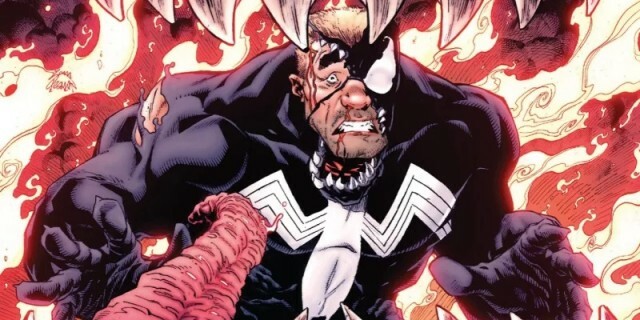 Venom is compelling as an antihero precisely because he contrasts so markedly with Spider-Man; even the classic Venom: Lethal Protector miniseries, inspiration for Sony's Venom movie, saw Spider-Man pursue his old foe to San Francisco. Black Cat works best as an awkward love interest, challenging Peter Parker's morality. 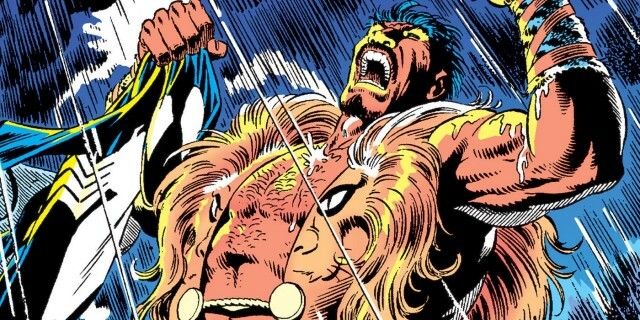 "Kraven's Last Hunt" is the most memorable story featuring Kraven the Hunter, but that will now never be reproduced accurately on the big screen. Using these characters without Spider-Man will simply leave the Sony Spider-villain universe feeling diminished and impoverished, with anyone familiar with the comics knowing the films could be so much more. It's possible Sony is attempting to fill this gap with the character of Silk. 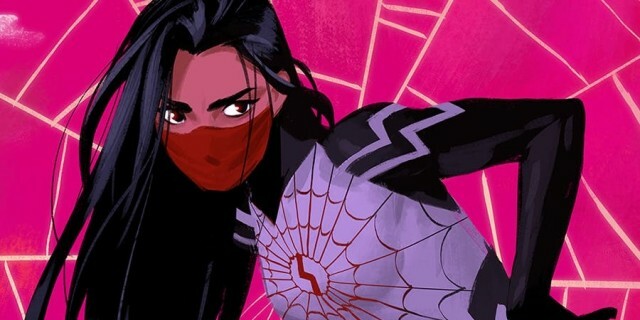 In contrast to the other properties Sony is developing, Silk is no villain; she's a hero who was created by writer Dan Slott back in 2014, bitten by the same radioactive spider as Peter Parker. Many of Cindy Moon's powers are analogous to Spider-Man's, although she has natural webbing. 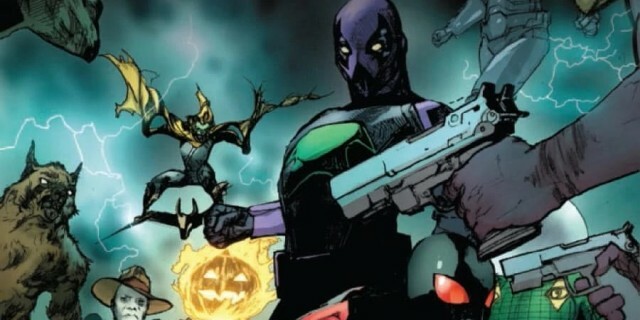 But, again, simply introducing a Spider-Man-esque character will serve to highlight Peter Parker's absence. There's one way Sony can fill this Spider-Man-sized hole in their shared cinematic universe, and that's dropping all pretense that these spinoffs are part of the MCU and recast Spider-Man. Sony could perhaps go for an older, even slightly darker, iteration of the wall-crawler; perhaps one similar to Andrew Garfield's. That would suitably differentiate their version of Spider-Man from the MCU's. 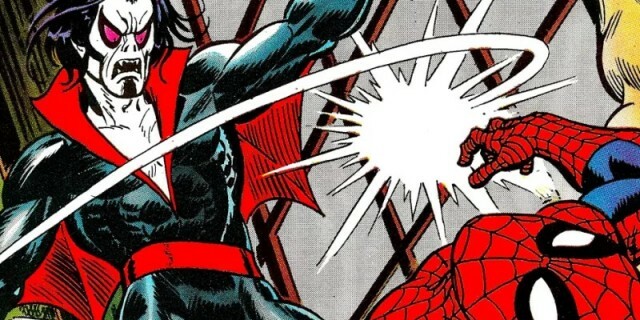 Where Tom Holland's Spider-Man would interact with MCU heroes like Iron Man and Doctor Strange, Sony's iteration would romance the Black Cat, clash with Venom, and struggle to survive the threat of Kraven the Hunter. It's not like Sony are unaware of this potential. This year's animated movie, Spider-Man: Into the Spider-Verse, even sets the precedent; it establishes the idea that Spider-Men exist in countless realities, and introduces different versions of Peter Parker. Viewers don't seem to mind one bit. Warner Bros. is taking a similar approach with the Joker. There are no less than six different Joker-centric films in various stages of production, with both Jared Leto and Joaquin Phoenix tapped to play the Clown Prince of Crime. The studio clearly believes that, so long as the different iterations of the Joker are distinctive enough, viewers will be fine with seeing multiple portrayals of the same character on the big screen. The same is true of the Flash; although Warner Bros. initially worried about the possibility of brand dilution, pulling Harley Quinn from Arrow after they decided to push ahead with Suicide Squad, the studio seems to have relaxed a lot. Ezra Miller's portrayal of Flash is very different to Grant Gustin's TV version, and the average viewer isn't even bothering to compare them. In just the same way, if Sony cast the right actor as Peter Parker, they should be able to generate the same kind of positive buzz and push ahead with a far stronger franchise. IS SONY ALLOWED TO RECAST SPIDER-MAN? But there's one snag; it's entirely possible that Sony isn't allowed to recast the role of Spider-Man. 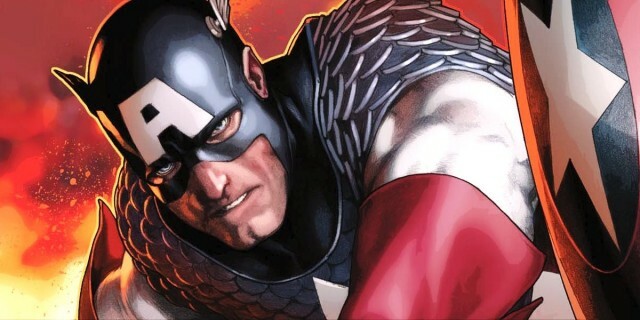 It all depends upon the studio's deal with Marvel Studios. If Marvel Studios is making solo Spider-Man films, is Sony prohibited from direct use of Peter Parker? Would they be able to cast a Spider-Man who serves as a secondary character, rather than the star of a film? Naturally, the full status of the deal is a closely-guarded secret, so there's no way to know for sure. But even if the contract is silent on this matter, that doesn't mean Sony will want to take the risk and damage the goodwill. It's also very possible that Sony actually wants their spinoffs to be loosely set in the wider MCU. By that reading, they're hoping their films will profit from the overarching Marvel brand, and that cameos and subtle nods will be enough to satisfy general viewers. There's certainly precedent for this idea; after all, the Marvel TV shows remain successful in spite of the fact their tie-ins will only ever be subtle and one-way. Every loose connection is celebrated by viewers with real delight. If Sony does intend to take this approach - and the ambiguous and confusing comments to date definitely leave that possibility open to the studio - then recasting Spidey is out of the question. Right now, Sony's approach appears to be to hint that their spinoffs are set in the wider MCU, without making it explicit. It's an understandable approach, as it hopefully allows the studio to benefit from the hugely successful shared universe. But, in the long run, it's a self-defeating one; it impoverishes the characters and concepts Sony hopes to explore, removing some of their best character dynamics and most compelling arcs. Sony would be wise to ditch the MCU, and to bring in their own version of Spider-Man to serve as a foil for this world of Spider-Man villains. Sony is making plans for the approximately 900 Marvel character properties it owns, and in a recent article about that very subject, it's revealed that Sony actually has a name for its Marvel Franchise: the SUMC, or "Sony's Universe of Marvel Characters." “We’re focused on being faithful to the comics,” said Sanford Panitch, president of Columbia Pictures, and the executive overseeing what is being called internally, Sony’s Universe of Marvel Characters. Hopefully that title is just kept for internal use within the studio, because it's definitely not the strongest branding approach for mainstream appeal. "Sony's Universe of Marvel Characters" is just a clunky mouthful, but its clear why the studio would want to go with it. With 900 characters in the stable, calling the franchise a "Spider-Man Universe" is somewhat limiting. Adding a larger Marvel Universe spin to it raises the profile of the franchise significantly — as well as the inevitable confusion amongst casual moviegoers, who won't get all the particulars of why certain characters can't crossover, etc. Of course, as the Warner Bros. / DC movie franchise has already shown, there's a big difference between making plans and getting movies in theaters. The viability of the "SUMC" will hinge largely on how Venom performs in a few months' time. If it the Spider-Man anti-hero doesn't light up the box office, then Sony could soon be in the position of trying to simply make marketable standalones, let alone an interconnected universe of second-tier Marvel characters. The other big concern is that these "big vision" plans may be the very thing that could trip the studio up. There are already reports that Venomcould get hit with a PG-13 rating in order to invite potential crossovers with Spider-Man or other Marvel Cinematic Universe characters in the future. That's the kind of big-picture thinking that could make Sony overlook the first simple step of giving audiences what the truly want from this first introduction to the SUMC. After that, it's just a steeper uphill battle to get the full franchise off the ground. Spider-Man currently resides in the Marvel Cinematic Universe and while Kevin Feige has been given the opportunity to do whatever he likes with the wall-crawler and some of his friends and foes, there are many characters there simply isn't room for and Sony is now looking to capitalise on that with a number of spinoffs and standalone adventures which are all in various stages of development. Now, with new details having surfaced in regards to the future of Sony's Spider-Verse (that's not the official title but we'll get to that later), we're now looking at all the huge new details which have been revealed, including who is taking charge of this slate, which movies are actually on the way, and everything you need to know about what's happening with those and who exactly is involved. So, to take a look at this breakdown, all you guys have to do is click on the "View List" button. I'm a little sceptical about this one considering the fact Sony's version of Venom has an origin story completely unrelated to Spider-Man but according to Sanford Panitch, President of Columbia Pictures, "We’re focused on being faithful to the comics." Providing they get the characters right, some tweaks - albeit pretty massive ones - to make them work without Spider-Man will be easier to swallow. Oh, and while we've been referring to this world as the Spider-Verse, Sony has actually dubbed it "Sony's Universe of Marvel Characters" or "SUMC," something which distances it from Spidey. Well, this is pretty unexpected. We know that a lot of characters call Spider-Man's corner of the Marvel Universe home but did you know that Sony actually holds the rights to roughly 900 of them? That's an insane amount and not only does it mean they can pick and choose when it comes to who should lead a spinoff but they also have plenty of characters to then utilise as supporting players in all of them. Sony clearly has some big plans for the SUMC but it appears as if all of those may ultimately hinge on how well Venom does at the box office. Very early tracking data is reportedly pointing to a solid opening weekend and providing that it is a box office hit, the studio will then segue into a series of sequels and standalone movies featuring heroes and villains who populate Spider-Man's world. In other words, Venom is a big budget bet for them and while at least some of these other spinoffs could still happen even if it flops, a disappointing box office run will change Sony's plans to an extent! With Sony looking to put the spotlight on a lot of female characters, the studio's priority is also making sure the diversity on screen is reflected behind the camera as well. As a result, we can expect many of these stories to be written and directed by women, something moviegoers will no doubt embrace. "Spider-Man connects to a lot of the characters," said Panitch. "There are villains, heroes, and antiheroes, and a lot are female characters, many of whom are bona fide, fully dimensionalized, and unique. We feel there’s no reason the Marvel characters shouldn’t be able to embrace diversity." A relatively minor but still very interesting piece of information, it's said that Sony plans to experiment with the budget ranges on the movies it makes, meaning that some will be blockbusters and others will cost a lot less. After all, it's easy to imagine the studio pouring money into a CGI heavy adventure like Venom but dialling things back a little with a grounded adventure starring the likes of Felicia Hardy. 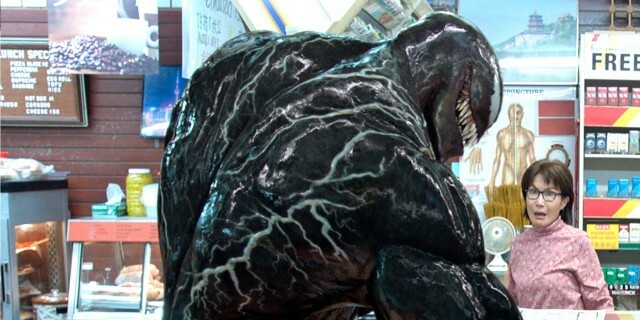 While Sony is willing to give a future release an R-Rating, the studio is holding back for now and Venom will indeed be PG-13. Basically, they want the movie to push the boundaries of that rating without crossing over into Logan territory. While Spider-Man currently resides in the Marvel Cinematic Universe, Sony still owns the character and they want the wall-crawler and Venom to cross paths one day; as a result, they won't make an R-Rated Venom because it closes the door on them meeting. Well, it's not Kevin Feige (sadly). While he oversees Marvel Studios and Walter Hamada has been put in charge of the DC Films Universe, there is no "uber-boss" at Sony. Instead, while Panitch is overseeing this cinematic universe and is tasked with knocking it into shape, the various movies are said to be more producer-driven meaning they could all end up being very different in terms of their quality. For example, Amy Pascal is in charge of Silk and Spider-Man: Far From Home, Palak Patel oversaw Venom and Morbius, and Avi Arad and Matt Tolmach are serving as produces on almost all of them. If they're in charge of linking them all up we should be worried based on The Amazing Spider-Man 2. I find this highly doubtful but Sony is hoping that some of these characters could crossover into the Marvel Cinematic Universe, with Venom near the top of the list. They would also like some of The Avengers pop up in their spinoffs just like how Captain America appeared in Spider-Man: Homecoming. Personally, as much as I'm sure Kevin Feige would like to keep Spider-Man in the MCU, he's probably not that desperate enough to agree to these crossovers if he really doesn't want them to happen. 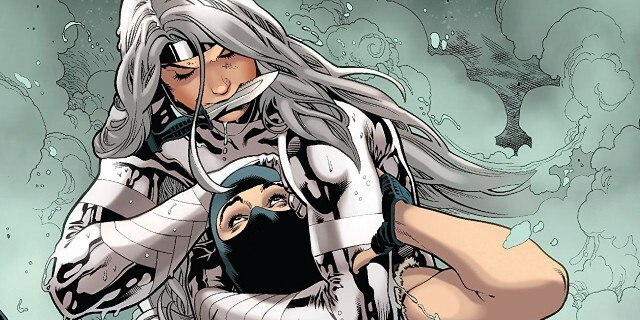 We know that Silver & Black has been scrapped so where do things stand with Sony's SUMC slate of movies? That's what we're taking a look at here as we break down all the confirmed spinoffs and standalone adventures for Spider-Man's many friends and foes (who, you know, no longer know him). 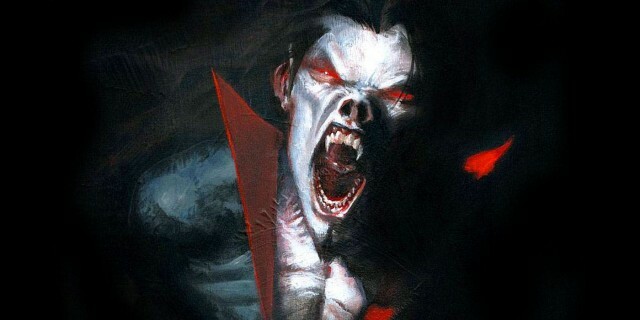 The spinoff which is currently furthest along at Sony, Morbius the Living Vampire's script was written by Burk Sharpless and Matt Sazama (Lost in Space). It also has a director in the form of Safe House's Daniel Espinosa and Suicide Squad star Jared Leto will don a pair of fangs and go method to play him. 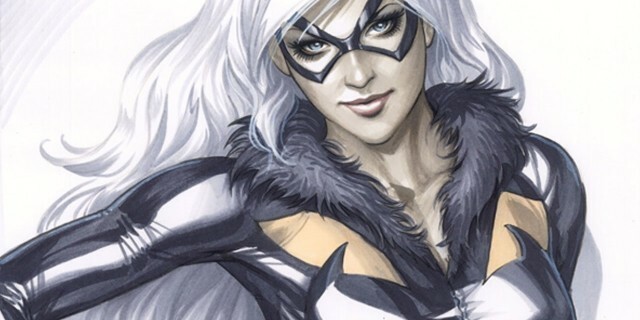 "We believe Black Cat is enough of her own character with a great backstory and a canon of material to draw from to justify her own film," said Panitch, regarding the decision to give Felicia Hardy her own movie. There's no denying that he's correct in that assessment so here's hoping they do it right. 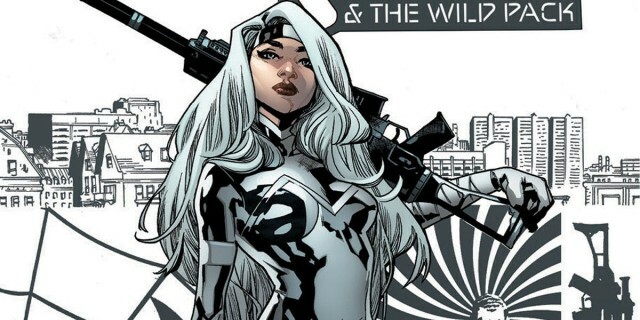 I'm not sure how much potential Silver Sable has in a solo outing but throw in her Wild Pack and we could definitely end up with a fun, action movie ensemble. Sony is reportedly still mulling over pairing up her and Black Cat so it will be interesting what sort of hints we get relating to that in this movie. It's been said that Spike Lee could end up taking the helm of this one and Luke Cage showrunner Cheo Hodari Coker is reportedly penning the screenplay. The story of this character - which involves time-travel and vigilante crimefighting - is one which is definitely going to be worth keeping an eye on. There's only so much that can be done with a character who runs around in a leotard trying to hunt a teenager but Sony is looking to give Kraven the Hunter an origin story in a solo outing which is being penned by Richard Wenk (The Equalizer 2). We have no idea what direction it will take as of right now. Jackpot was introduced during Brand New Day and Marvel initially made fans think that Mary Jane Watson was beneath the mask. 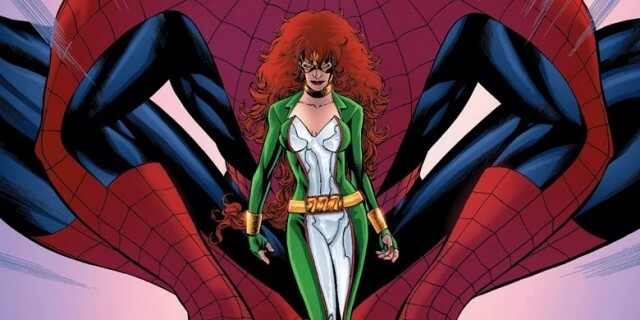 In reality, both Sara Ehret and Alana Jobson have been beneath the mask and Sony reportedly intends on casting a slightly older actress (Jessica Chastain would be good). Cindy Moon was bitten by the same spider that gave Peter Parker his extraordinary powers and while the two of them will live in different worlds, there's still a lot that Sony can do with a female "Spider-Man." I would have chosen a Spider-Gwen movie personally but this one still has some potential.